Did you know you can find over 70 thrill-seeking coasters, water rides & fun activities for the whole family in this one park! 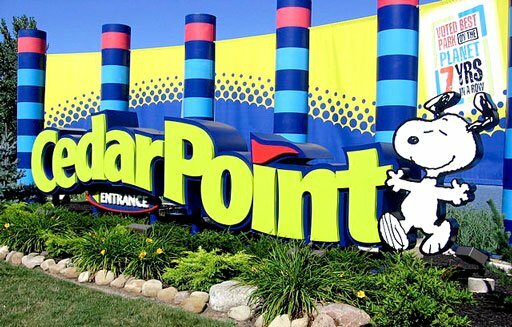 From scream-making rollers coasters to kid-friendly rides – Cedar Point has it all. Come aboard and ride in comfort & style in our professionally operated, air-conditioned, rest-room equipped, with reclining seatbacks DELUXE MOTORCOACH! 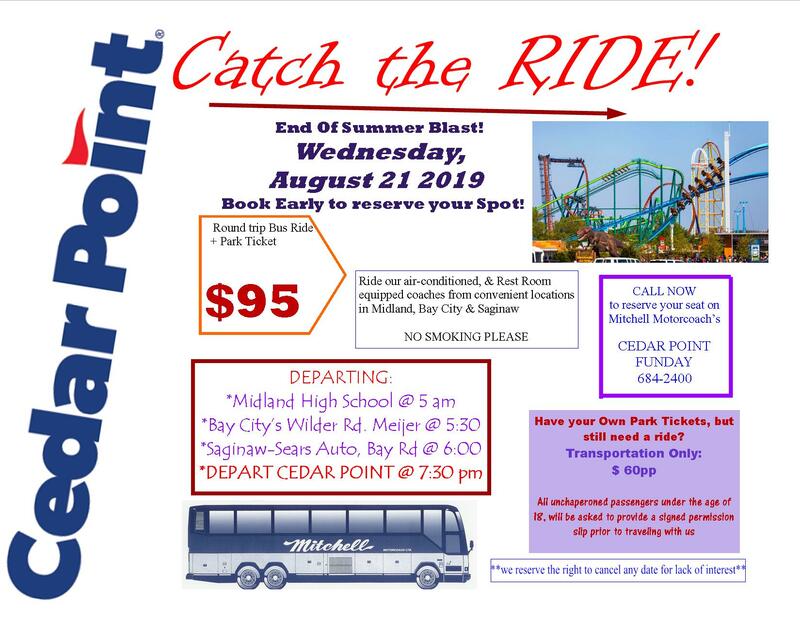 Per Person cost includes Bus Ride & Park Admission for the day!